Most people in the United States at this point own a vehicle. It’s the most popular mode of transportation, and with good reason. Gone are the days of horse and buggy, after all. We’re in a modern era where automotive transportation has become our number one source of getting around! 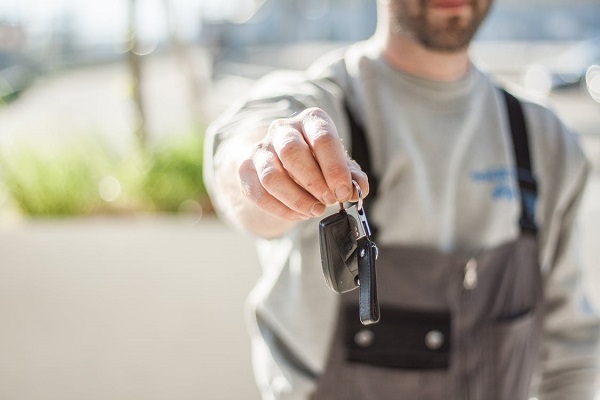 There are a lot of questions that car ownership raises, and there aren’t many average Joes that can answer them. Too many of us don’t have as good a handle on the inner workings of our automobiles as we should. It might seem like knowledge you don’t need since we have professionals that we turn to whenever work has to be done. Mechanics are our go-to guys for any problem we might have. However, it can certainly save a lot of time and money if you invest a little time to learn more about the vehicle you drive on a daily basis. That’s what we’re writing about today, so keep reading for all the essential information on one of the best parts to know about! If you have a car you’ve probably wondered how the insides work. In essence, this is what makes it “go”. It’s pretty natural to think about a vehicle you drive every day in this way! After all, how weird is it that you operate this piece of machinery but you don’t even know the first thing about it? Or about troubleshooting, even fixing, problems as they pop up. Pretty weird, right? We’re here to help, however. 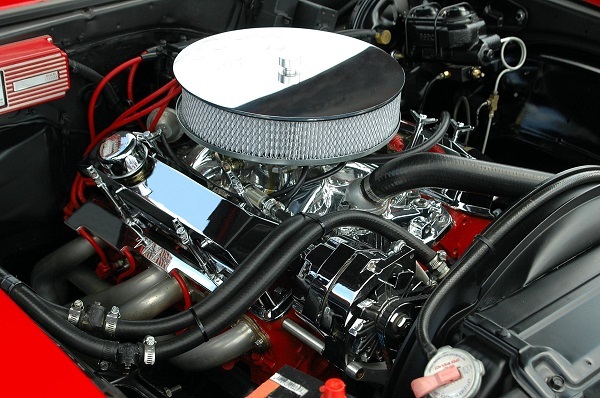 This article will explain to you in plain detail how a car engine works. We know, we know. It sounds pretty boring, and mundane. You’ll find out, however, that it’s anything but. Automotive engines are pretty fascinating! After reading this we think you’ll understand not only more about your car but a seriously cool invention that has propelled us through the last hundred years of advancement! So, how does a car’s engine work? Good question! The engine in your vehicle is known as a combustion engine. This refers to the combustion chamber inside of it which is what powers the vehicle. A combustion chamber is where everything happens that causes your car to, well, work. This happens because of small explosions that go off continuously as you’re driving. Pretty cool, huh? This chamber is a place where fuel, air, pressure, and electricity all mix together into the perfect melody that we’re singing high praise about! But where do all of these movements come into play, and what, exactly, is inside of a combustion engine? What parts make up this essential equipment in your vehicle, and what’s the mechanical process that propels it along? Well, first let’s explain a little history that took place over a hundred years ago. It’s amazing to think about just how long we’ve been using this technology, but in the context of time, it really hasn’t been that long at all. It took multiple strokes of genius from a few different figures that pushed us into this new age of enlightenment that is so tied to American history. There are two men in particular who really moved this process along. Without these figures in history, we either wouldn’t have the vehicles of today, or we would be set back quite a while in development. It all started with a German engineer named Nikolaus Otto who thought up the idea for the “four-stroke” design that we use in cars to this day. This design came about in the 1800’s… a pretty long time ago, in other words! It’s a true testament to the pure genius that this man must have possessed. That’s a long, long time for any design to survive, let alone still be the most popular method used. Think about it! We don’t even have phones anymore that last that long. Most of us upgrade almost every year. But this advancement in technology was so simplistic, and perfect, that it’s still our preferred system to use. It should be noted, however, that technically the first gas-powered car was created a little later by Karl Benz (sound familiar?). This was done by taking a three-wheeled cart and fashioning a small gas engine to it for an extra kick of power. It can be difficult to summarize how an engine works. To do this we are going to break the engine down into some basic parts. There are more complicated explanations, of course, that go more in depth. For the sake of the average person, however, we’re going to try and keep things simple. You really only need to know the basic parts and how they interact, anyways! The combustion engine of today is made up of the following components. Cylinders: These are what is known as the “cooking pots” of the engine. 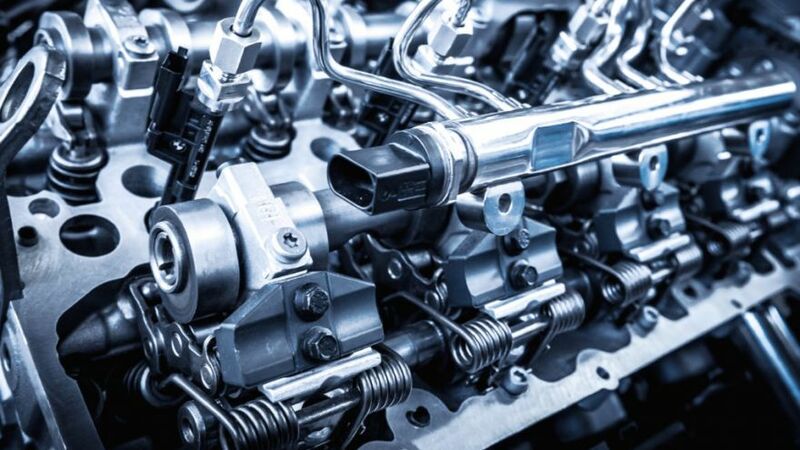 You probably are familiar with this term since most people know how many cylinders their car has, and it can be a huge deciding factor when you purchase your vehicle. There can be as many as twelve cylinders, or as little as two. Most cars come with four, six, or eight of them, however. Cylinders, of course, are made of super-strong materials. There are a few that can be used, but most of them are molded from a molten aluminum alloy. Alloys are great for using in machinery since they’re comprised of two different metals. This gives them properties that neither original metal may have. Alloys are known for being strong, durable, and dependable. Everything you want when it comes to your engine! On either end, the cylinders are closed up tight. One end of the cylinders opens and closes, however. Visual learners can compare this to a bicycle pump in motion. Pistons: Next in line are the pistons. These attach to the cylinders and slide in and out of them. Pistons work by compressing the mixture of fuel and air which are supplied to your car by you! Gasoline in, power out. Simple as that. The spark plug, which we explain a little further down, then ignites this mixture and causes a small explosion. Or, rather, a combustion. This is where combustion engines get their name! It’s a simple process that lets us achieve so much. It’s hard not to marvel at the absolute genius behind the machinery, and what we’ve achieved throughout human history. 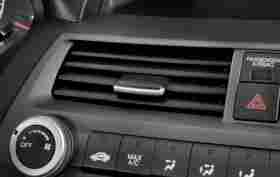 The outlet valve allows your car to release spent gases which can no longer be used. This is also known as the “exhaust valve”, which leads to your exhaust. It’s important for the engine to be able to release this pressure so that it can continue running steadily no matter what speed you’re going. Spark Plug: It makes things go “boom”! No, but seriously, that’s what it does. In essence, the spark plug is there to do exactly what it sounds like. It sparks! This is what causes the small explosion which powers your car. A faulty spark plug can mean big trouble and is one of the first things a mechanic will look for when you have engine trouble. Basically, when a piston compresses the fuel-air mixture the spark plug will ignore this mixture. The force that this causes is what pushes the piston back down. Then, the used up gas is let out through the outlet valve so that your engine can continue running nicely. Without a spark plug, there’s no way for the engine to continue combusting. Like we said before it’s a pretty big deal. Now that you know the parts, let’s explore exactly how it all works together. This can, again, be broken down into parts. There are four of them, which is where the four-stroke engine gets its name. All car engines, basically, are created off of this design. Step 1: The piston is pulled down by momentum which is created by a part called the crankshaft. This crankshaft is essential to your vehicle as well and is generally always in motion when your vehicle is in motion. After this process the inlet valve allows the fuel-air mixture to enter the cylinder, which is when the combustion begins to happen. Step 2: After the inlet valve closes back up the piston pops back into place. This compresses the air and fuel which makes it more flammable. As the piston moves upward, and eventually reaches the top, the big “boom” happens. This is because of the spark plug! It ignites the now highly flammable mixture, which has been compressed by the piston moving back up. Step 3: Our favorite part! Combustion, at last! This is the step in which the power of the vehicle is derived. The spark plug ignores, setting the mixture off. This combustion burns off the fuel immediately and creates a cloud of burning gas which pushes the piston back down. This is where the crankshaft gets power and why it is able to continuously move and power your vehicle along. Step 4: Sweet, sweet release for your engine. At this point, the combustion has been finished, and it’s time to round things out. The outlet valve is now able to complete the job it was designed to do. The crankshaft will push the piston back up, and this causes the spent gases to exit through the outlet valve. This is an endless cycle which creates the energy to keep your car moving along. Essentially all of these little pieces come into play as one, large, explosive part that you know as your engine. Each of these parts plays a significant role in determining the effectiveness of your engine, and the capabilities of your vehicle. The more cylinders in the car, for example, the more powerful it will be generally speaking. This is why small, compact vehicles normally have around four cylinders. At the higher end, you have large trucks that need a lot of power to get their job done. .These normally have anywhere from eight to twelve cylinders, depending on how heavy duty they are. Most people only need four to six cylinders. This amount is just right for a daily commute, road trips, or anything else you might do. More cylinders, again, means more power. So, large vehicles that are used to haul trailers, hay, or construction materials need the extra combustion that extra cylinders provide. Engines are essentially large air pumps. The more air you’re able to pump into them, the better. The first sign of engine trouble is terrifying. You never know what’s going to happen, or how to go about fixing it. Generally, the first stop is the mechanic. It’s good to understand how your car works on a deeper level so that you not only can troubleshoot problems, but you might know how to fix them. If the issue you experience does require a mechanic it’s still good to understand the anatomy of a combustion engine! 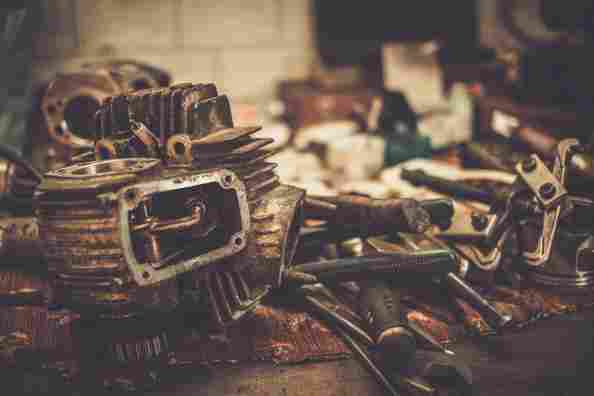 This will allow you to better understand the work that your mechanic will want to do in order to fix it. Learning about your vehicle will put you back in the driver’s seat, and keep your keys, and vehicle, out of the hands of anybody but you.